It’s generally cold and gloomy outside making soup a great meal to warm up with. Most of us have some sort of resolution for healthier eating that we’re trying to stick to after all the holidays. This recipe makes a large batch (about 7 quarts), so cut it in half if you aren’t cooking for a large group. 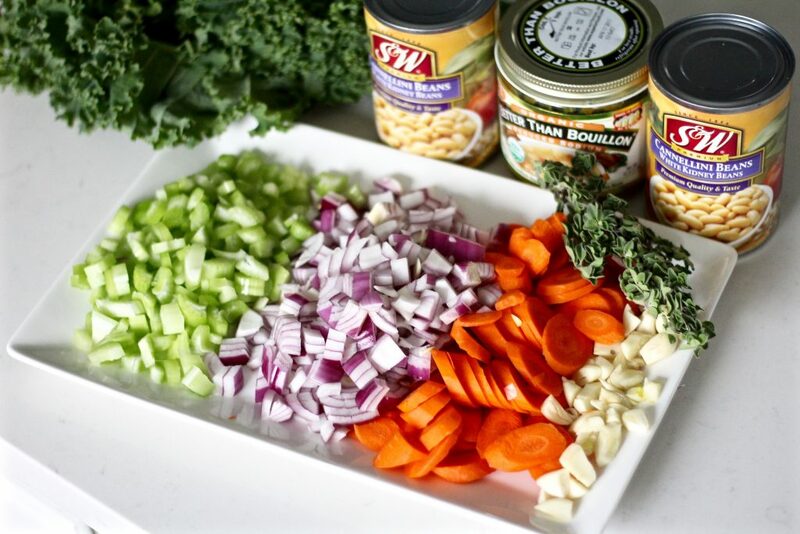 I always make a big batch of soup and freeze the leftovers for a delicious dinner that reheats in a matter of minutes! Preheat a 7-8 quart enameled cast iron dutch oven or heavy bottomed pot to medium high heat. 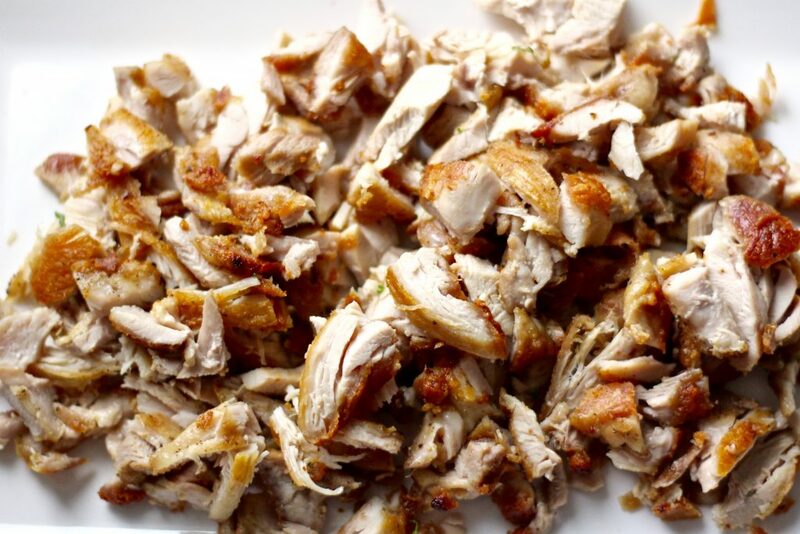 This step is really important because you want the surface to be hot enough to brown the chicken thighs quickly. If you have an electric stove like me, it will take a good 3-4 minutes to get your pot as hot as it needs to be. Pat dry the chicken thighs, season with kosher salt and black pepper, then brown on both sides in the dutch oven until exterior is golden and crispy (about 5 minutes each side). 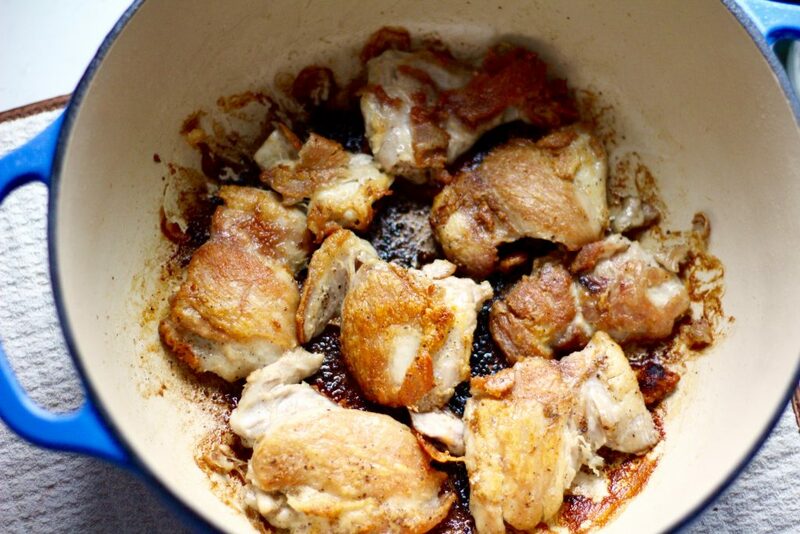 Remove chicken thighs from dutch oven and set aside to cool. Add sliced carrots, diced celery, onion, and garlic to the same pot and cook, stirring regularly until softened and starting to brown. Add chicken broth and stir, making sure to scrape any roasted pieces of chicken or vegetables off the bottom. All the roasted pieces will make the broth look darker than it normally would. This is where all that roasted flavor comes from and what makes the soup so delicious! 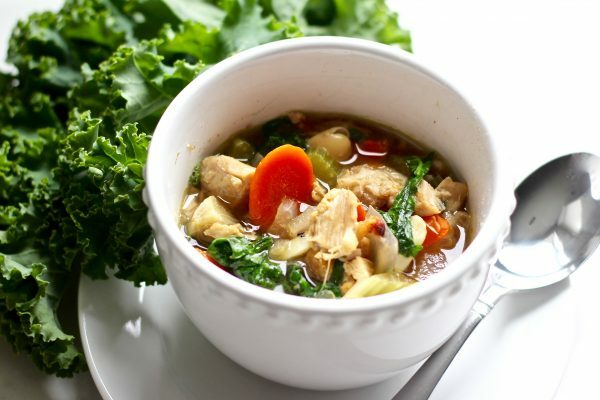 Remove oregano leaves off the stem and add them whole or chopped to the broth. 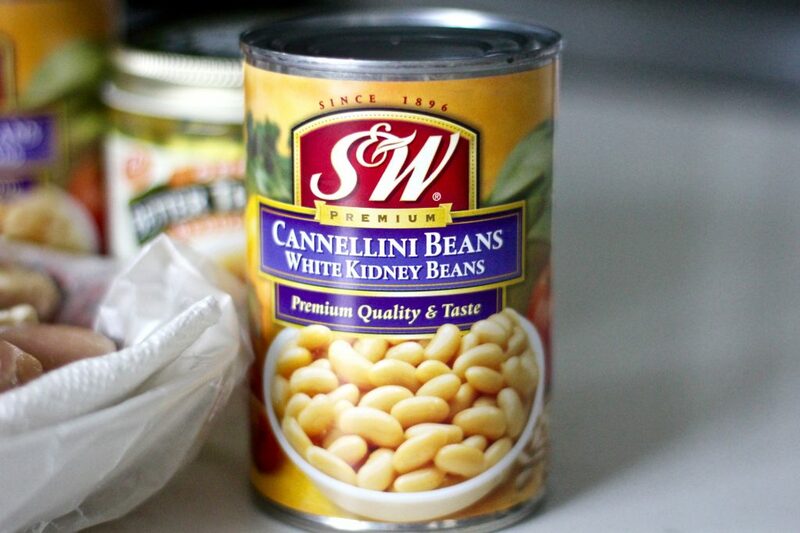 Add 2 cans of white beans and their liquids. 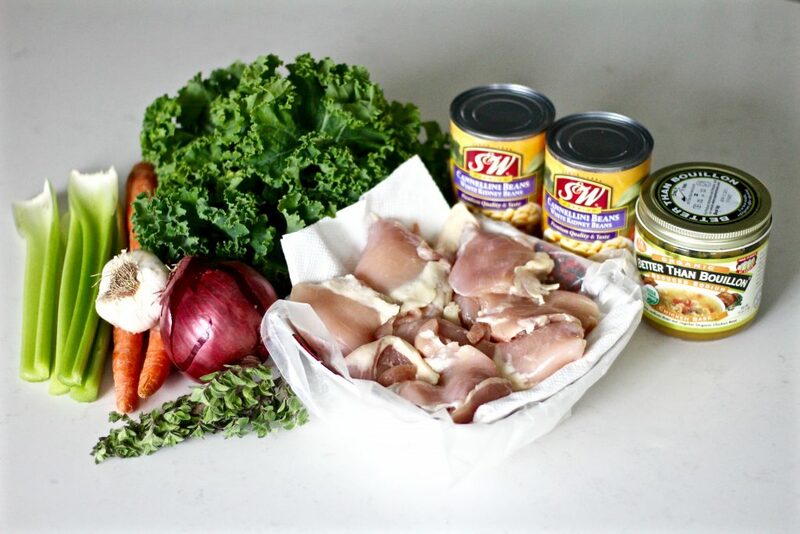 Roughly chop or shred the cooled chicken thighs and add them back into the soup as well. Add 1/2-1 teaspoon of ground cayenne to season the soup. 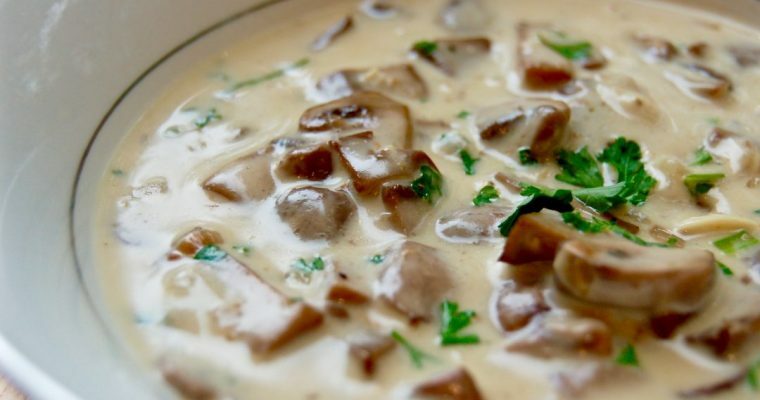 Allow to simmer for at least 30 minutes so all the flavors combine (longer if possible). Using the back of a wooden spoon or a potato masher, mash the beans for a thicker, rustic texture to the soup. 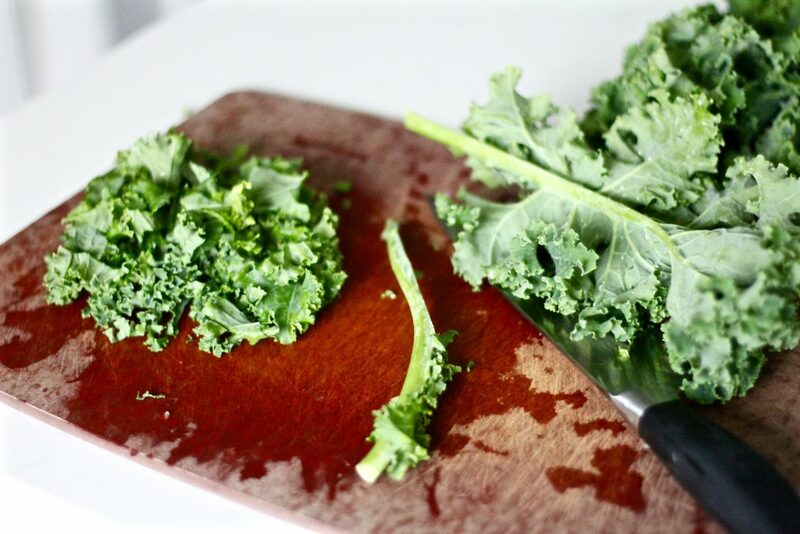 Remove stems from kale leaves, chop the kale into bite-sized pieces, and add to the simmering soup. Simmer for an additional 5-10 minutes before serving. 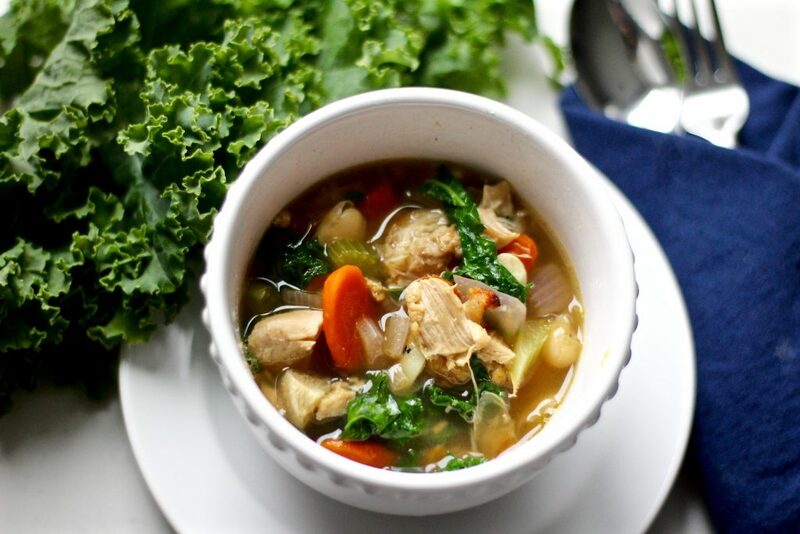 Don’t add the kale with all the ingredients in the beginning because by the time you’re done simmering the soup it will turn brown and start to fall apart. 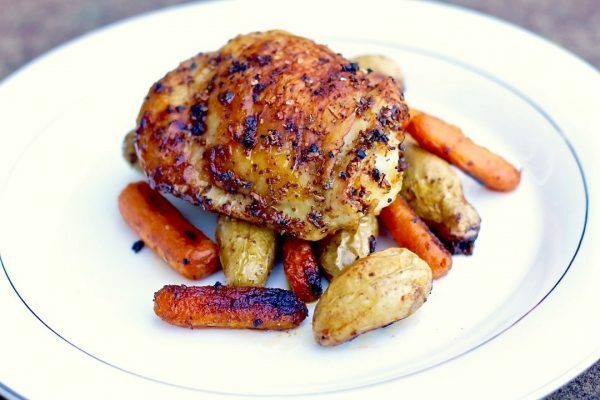 Serve with fresh baked artisan bread for a complete meal. 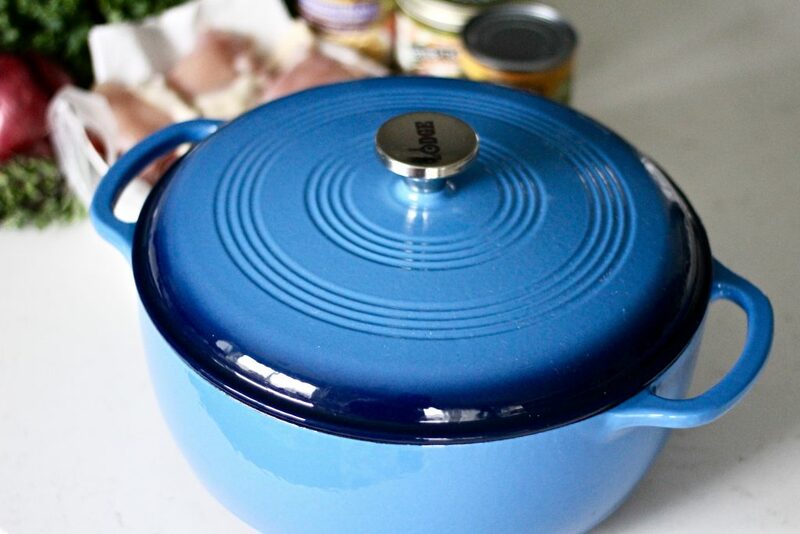 Preheat a 7-8 quart enameled cast iron dutch oven or heavy bottomed pot to medium high heat. Add sliced carrots, diced celery, onion, and garlic to the pot and cook, stirring regularly until softened and starting to brown. 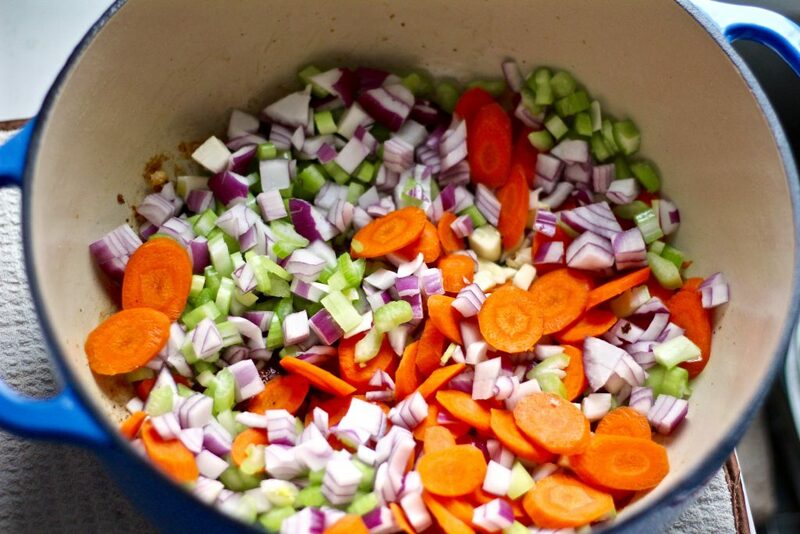 Add chicken broth and stir, making sure to scrape any roasted pieces of chicken or vegetables off the bottom. 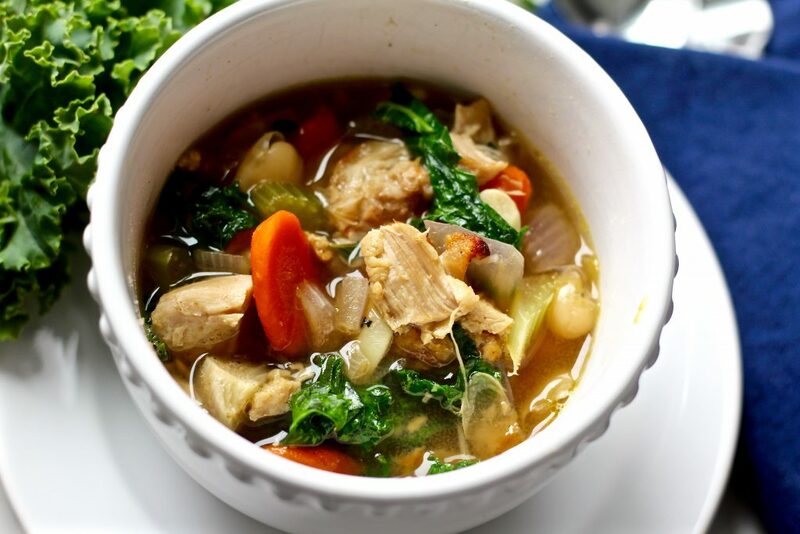 Roughly chop or shred the cooled chicken thighs and add them back into the soup. 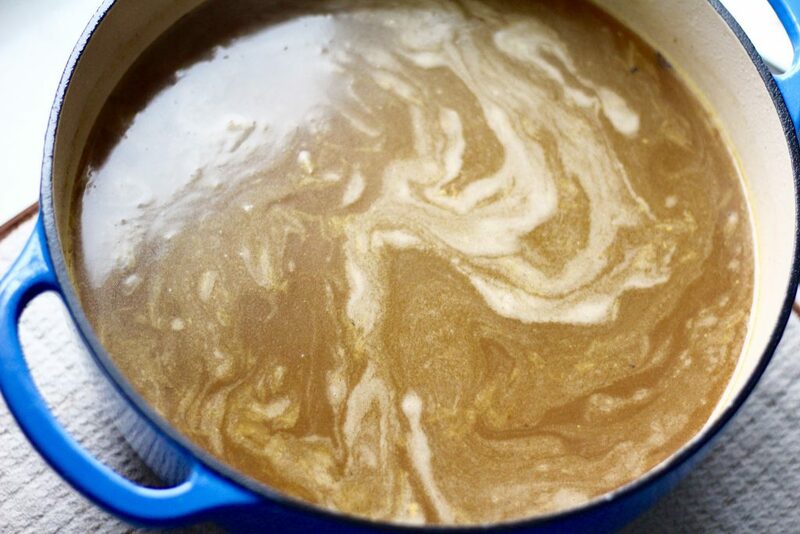 Simmer for an additional 5-10 minutes before serving. 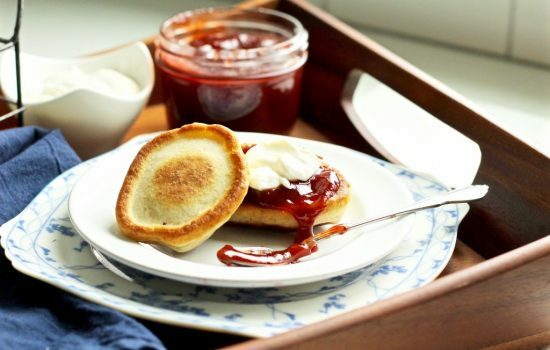 Serve with fresh baked artisan bread.